Words: Nahum Tate, 17001; first appeared in Tate and Brady’s Supplement, 1700. Alternate Tunes: "Winchester Old" and numerous others. 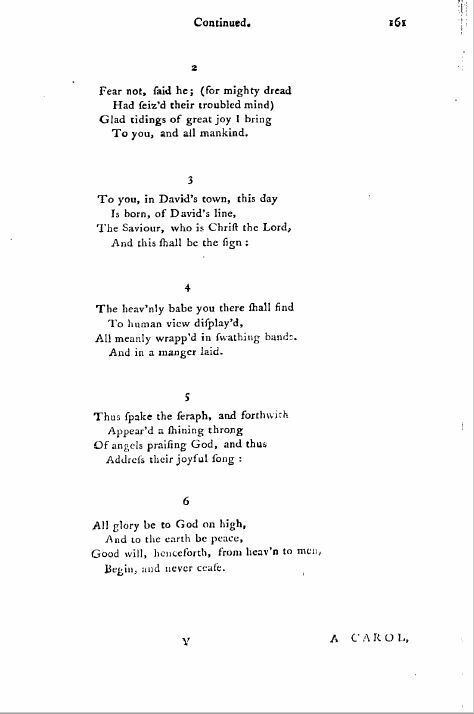 Source: William Sandys, Christmas Carols Ancient and Modern (London: Richard Beckley, 1833), pp.147-8. 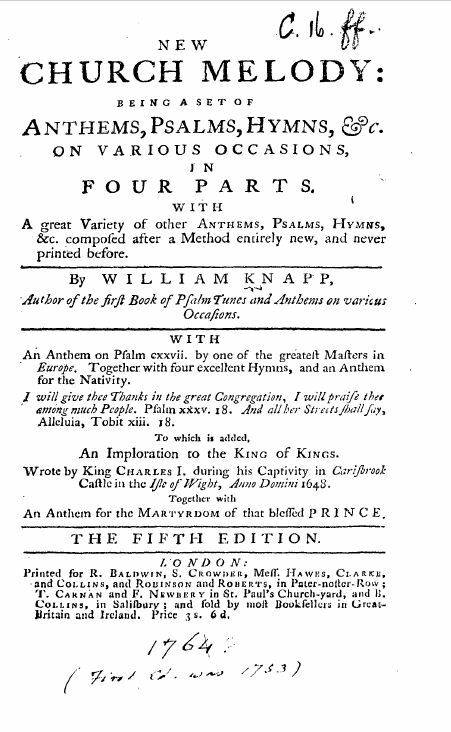 Sheet Music by William Knapp, New Church Melody: Being a Set of Anthems, Psalms, Hymns, &c. on Various Occasions. 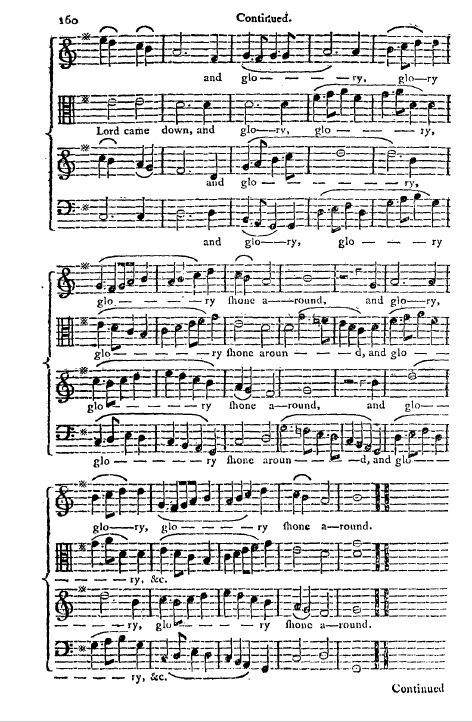 In Four Parts with a Great Variety of other Anthems, Psalms, Hymns, &c. Composed after a Method Entirely New, and Never Printed Before. Fifth Edition. (London: R. Baldwin, S. Crowder, et al., 1753, 1764), pp. 159-161. PDF & Midi versions available. Note that settings for these lyrics by 16 composers are available at the CPDL. 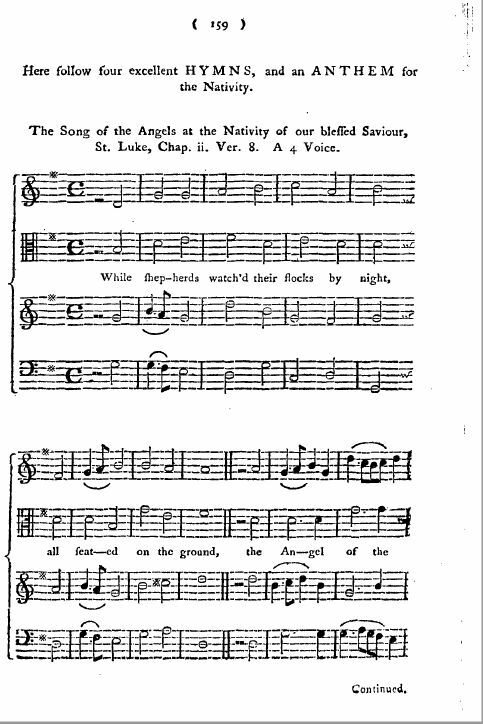 Editor's Note: Sandys included no sheet music for this carol. 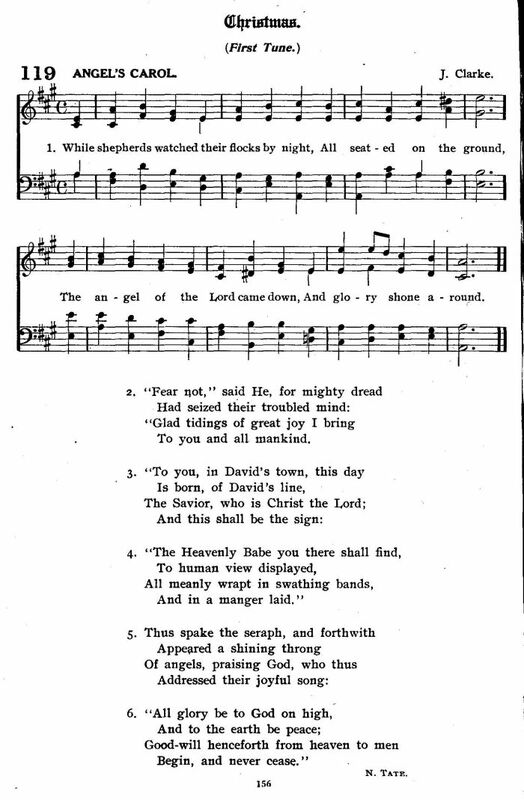 For additional settings, see While Shepherds Watched Their Flocks - Version 1 (Davies, 1822). This piece enjoys great popularity in the rural districts. 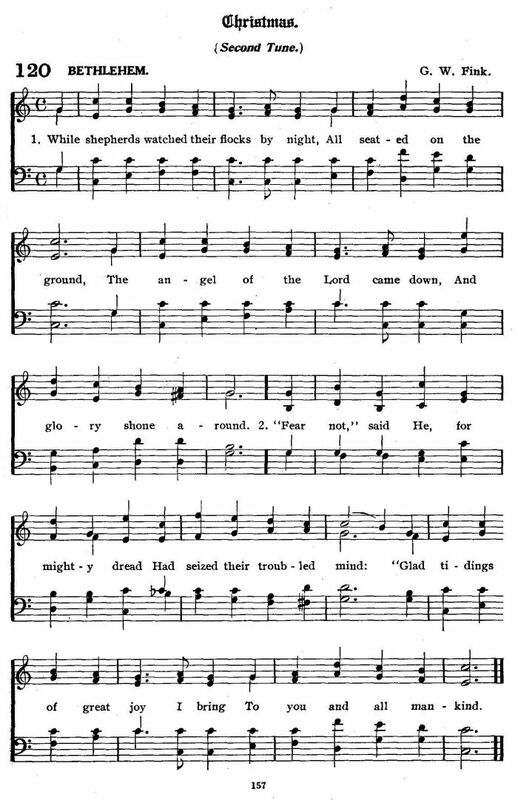 In the West it is frequently to be met with in the local Hymnbooks. It is probably not older than the last century.